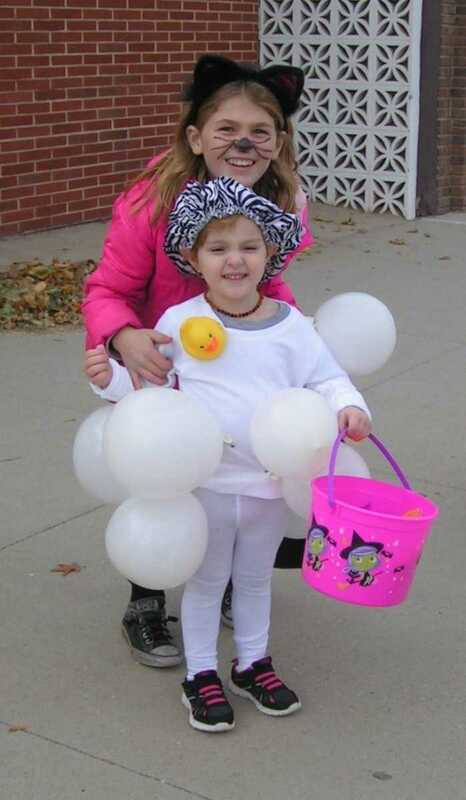 These two girls dressed up as a kitty cat and a bath tub with bubbles and rubber ducky. 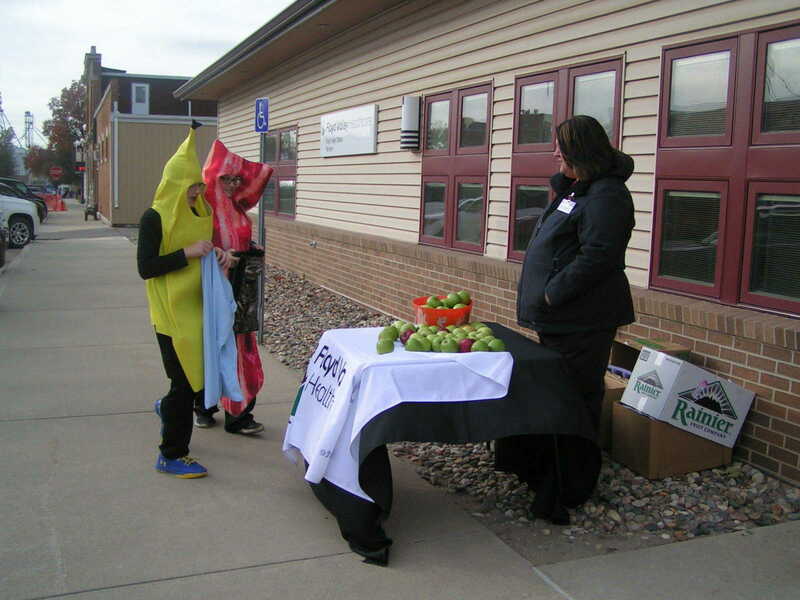 This banana and piece of bacon stopped at the Floyd Valley Clinic table for a healthy option of apples during the Chamber Trick or Treating Event, which took place from 3:30 to 5:00 p.m. on Tues., October 31. 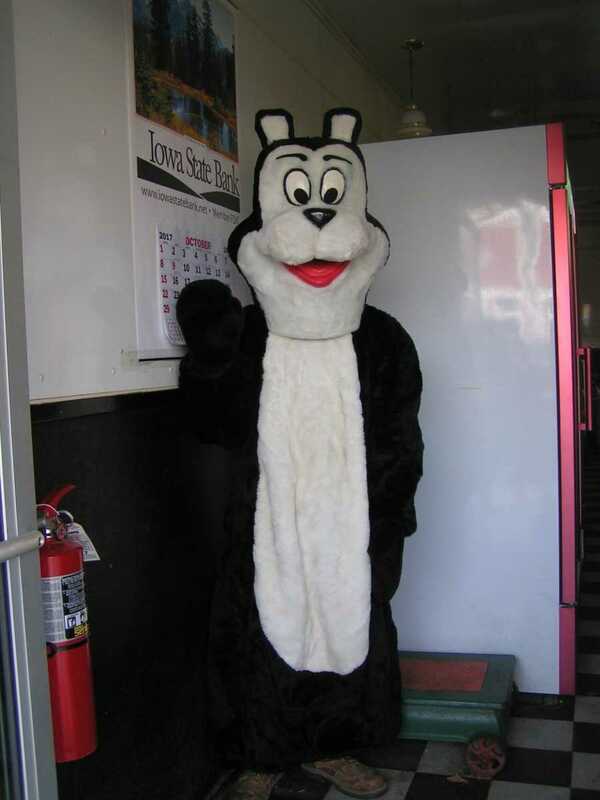 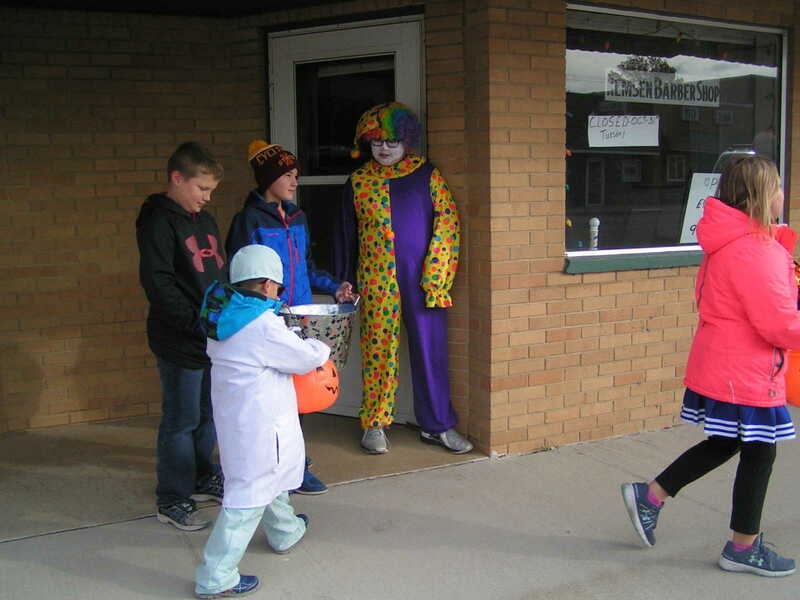 A bear greeted Trick or Treaters when they visited Remsen Processing Center. 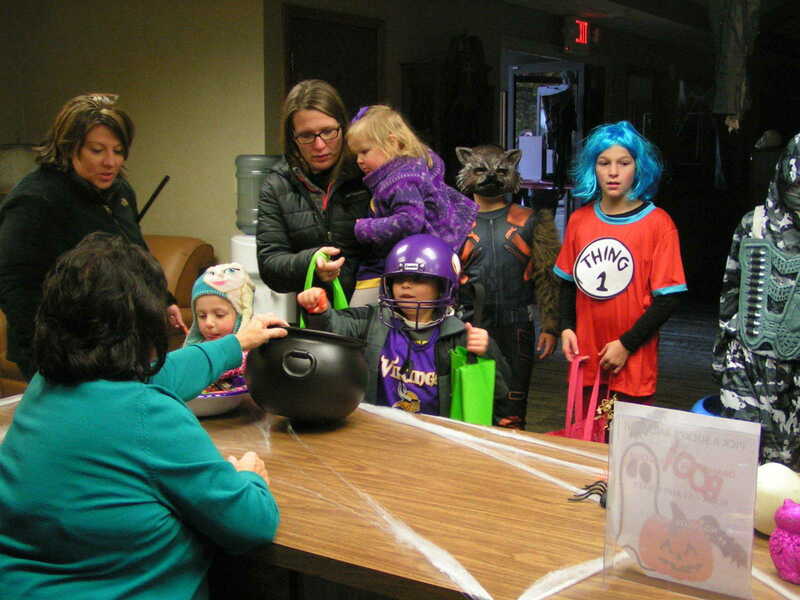 City Hall was visited by many children and adults for some great Halloween treats. 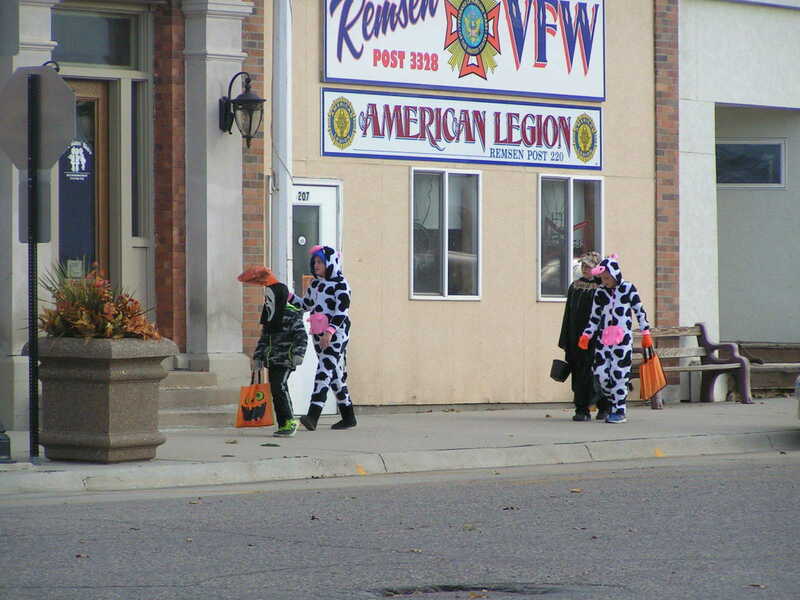 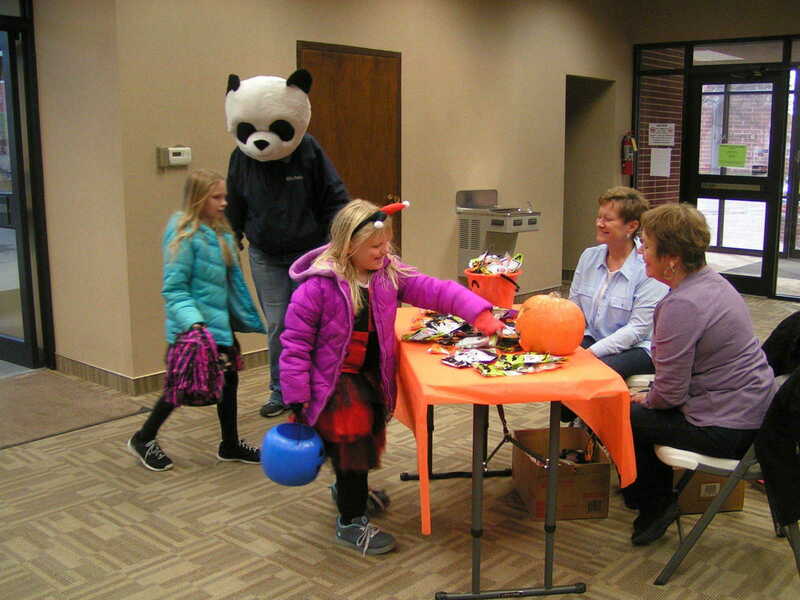 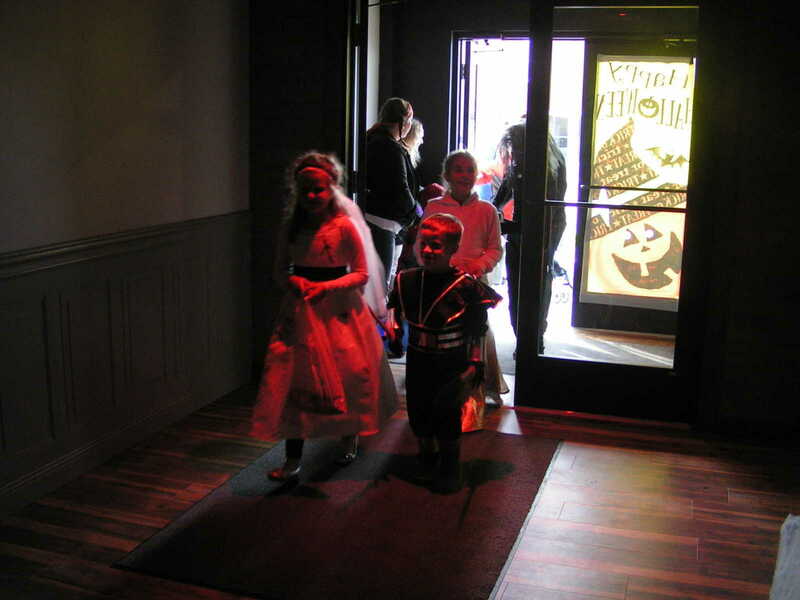 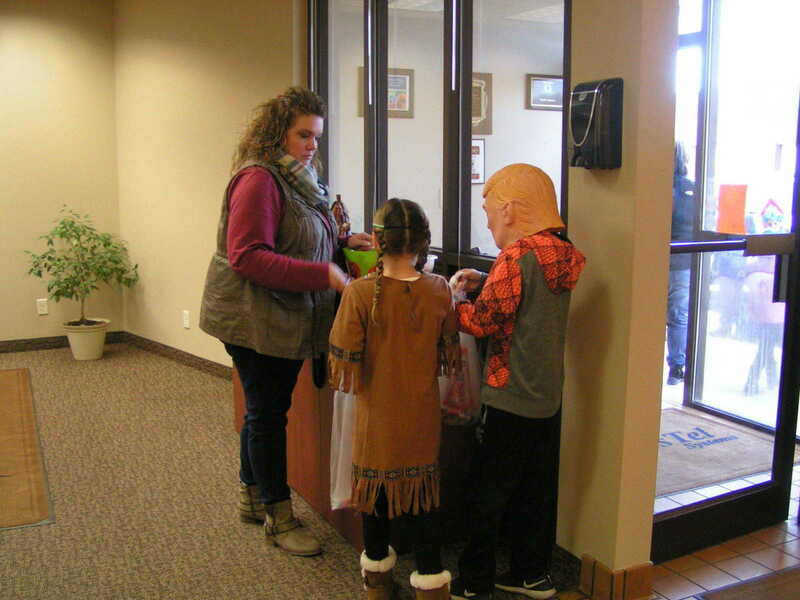 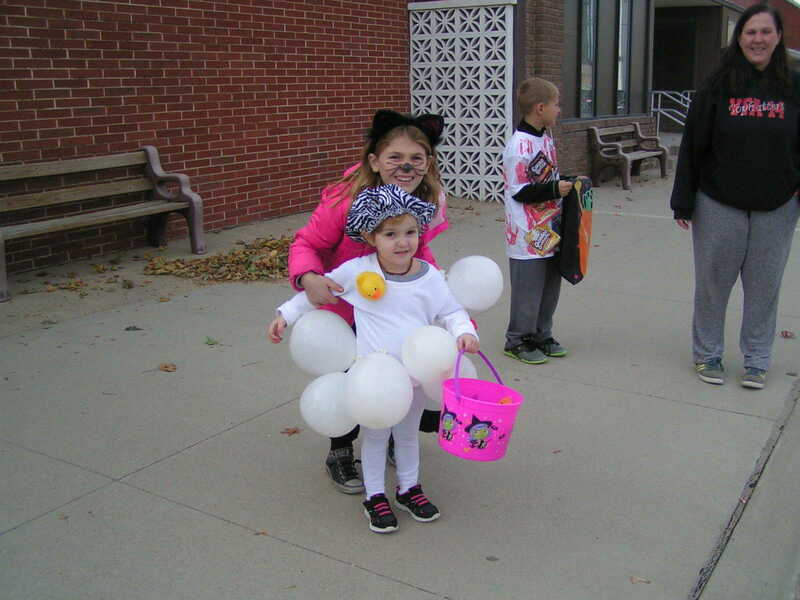 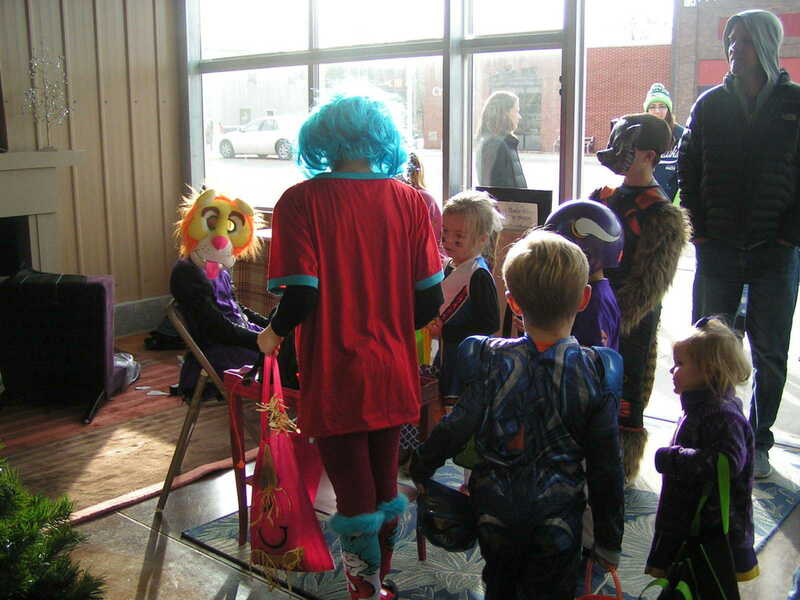 A huge crowd of children received candy at Iowa State Bank. 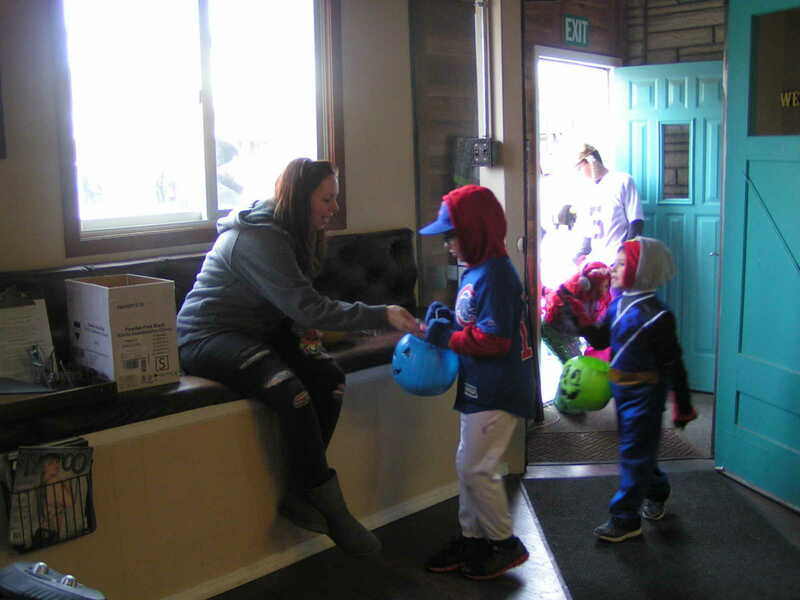 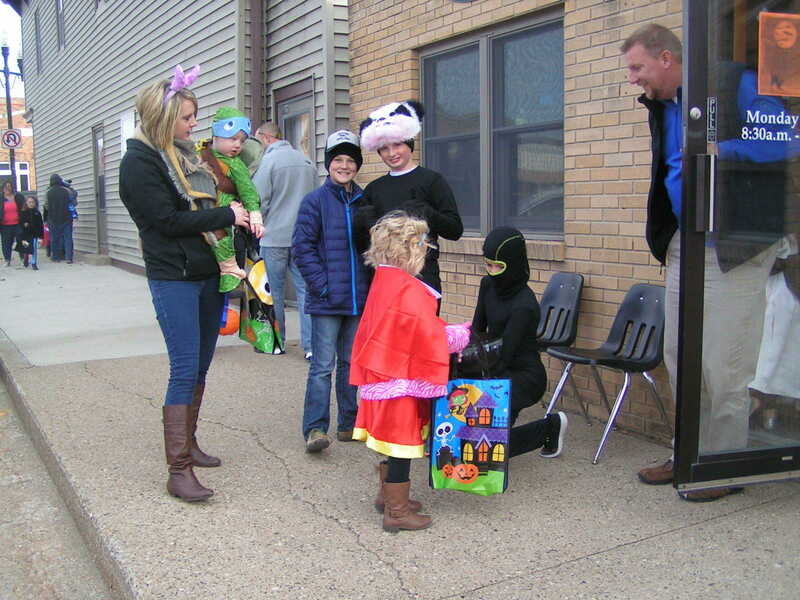 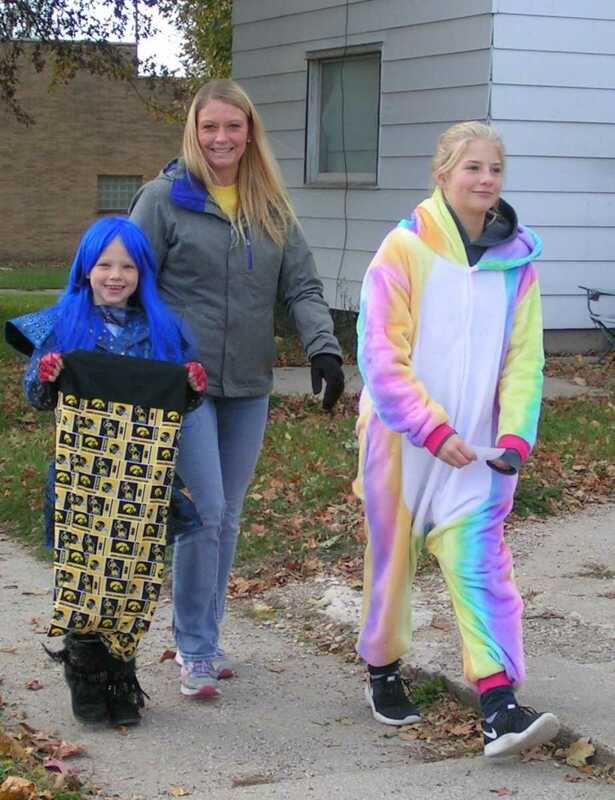 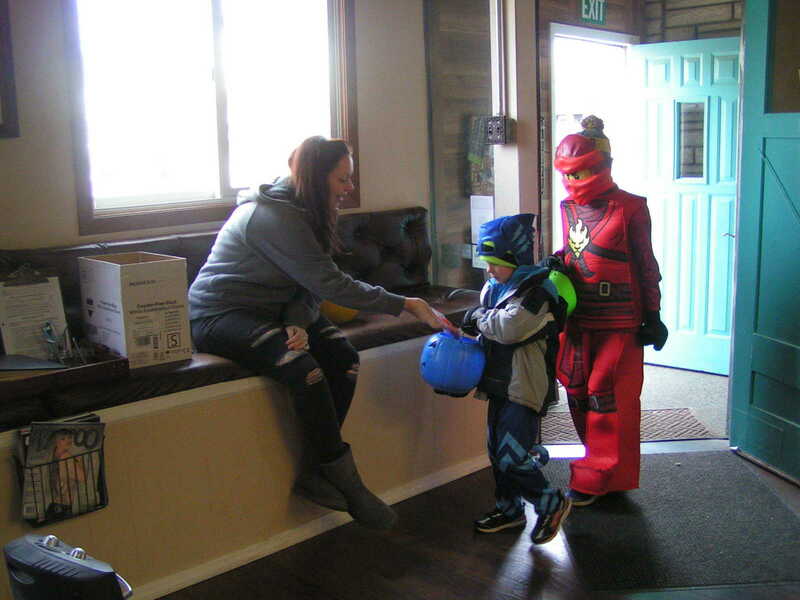 Jessi Lynch from Out of Town Tattoo handed out candy to children during the Chamber Trick or Treating Event. 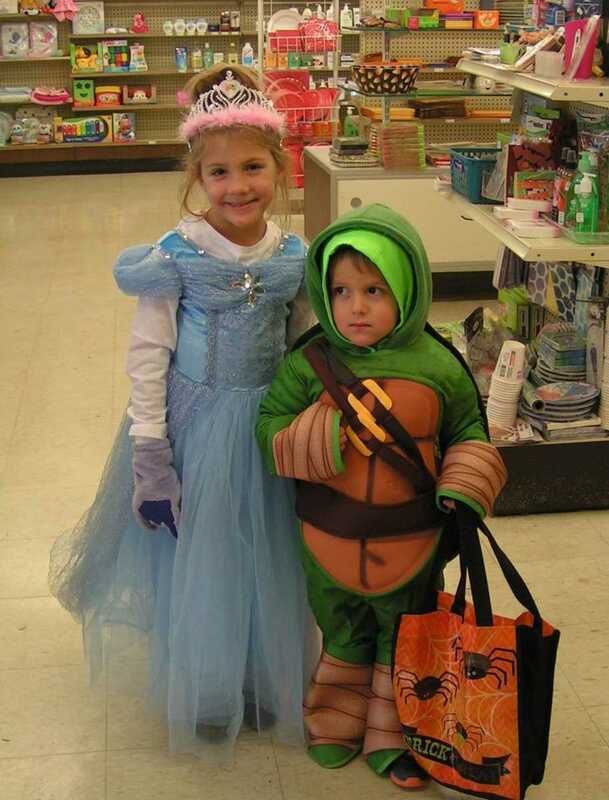 Brynlee and Boden Keffeler, dressed up as a princess and Teenage Mutant Ninja Turtle, take a quick picture at Remsen Pharmacy before heading out and about for more treats. 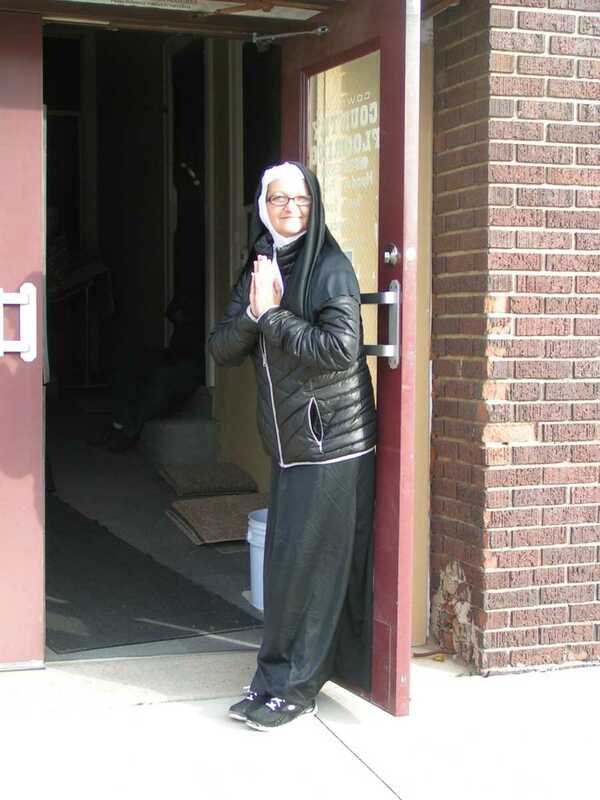 This "nun"Â� said a few "Hail Mary's"Â� to Trick or Treaters as they received candy at Cowboy's Country Flooring. 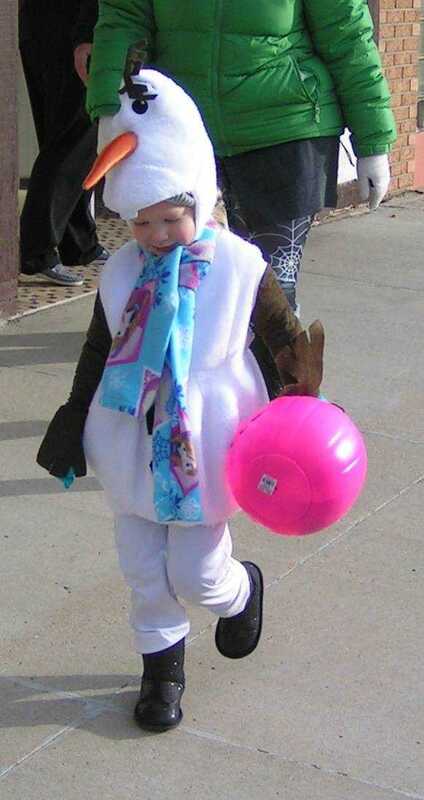 Olaf from Disney's "Frozen"Â� walks down the sidewalk, ready to visit the next business for a tasty treat. 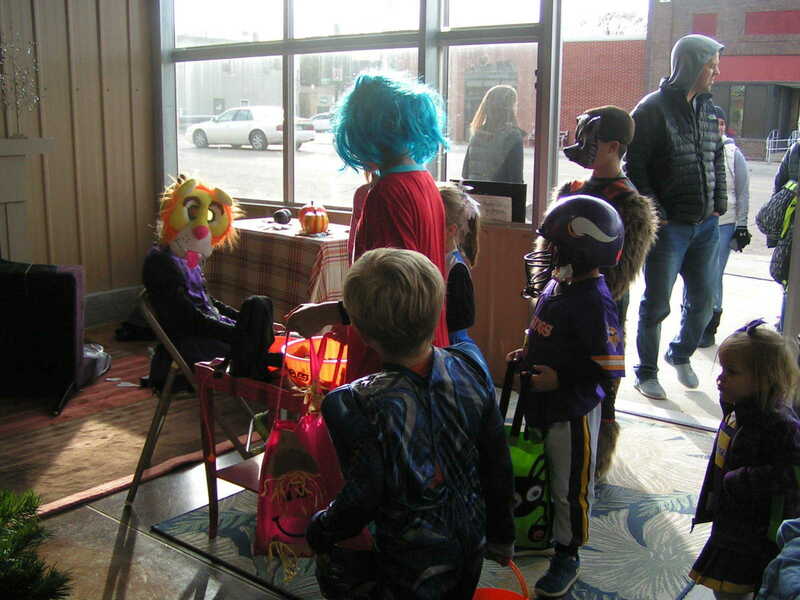 These Scary Jesters make their way to visit Furnishings On Second At Mullers. 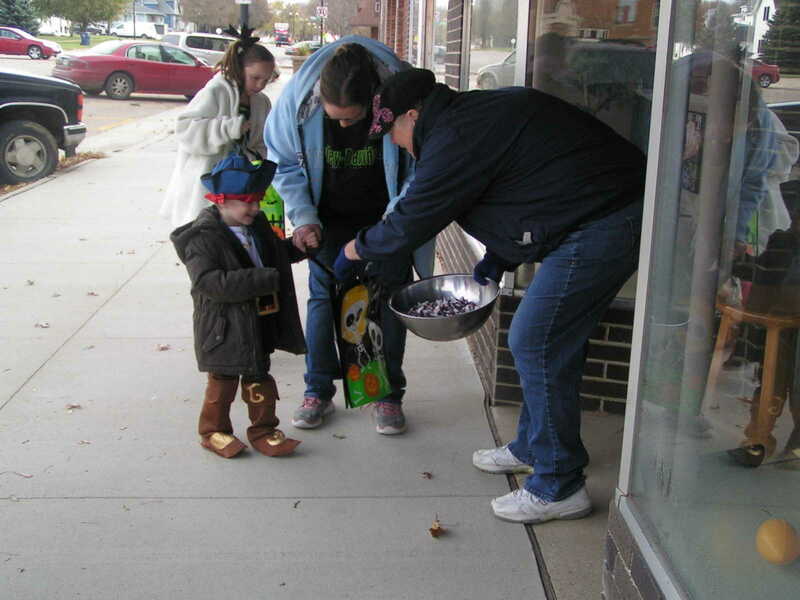 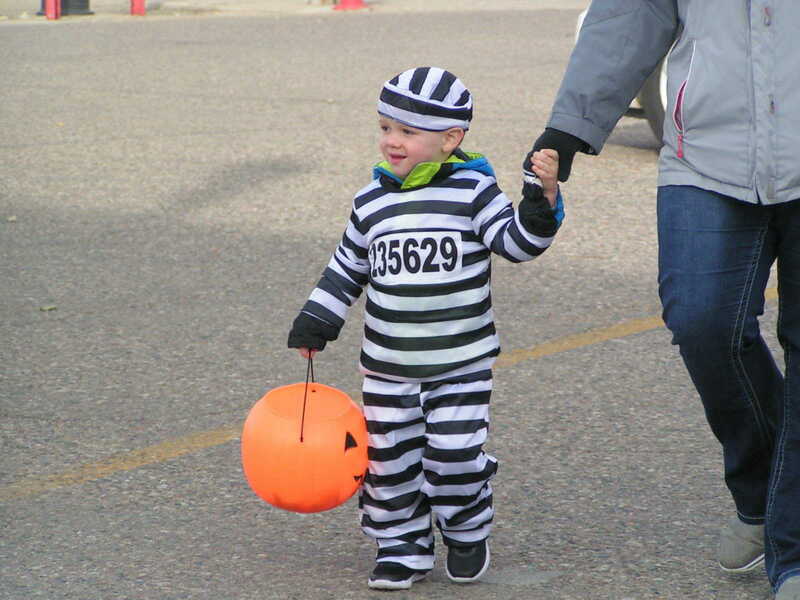 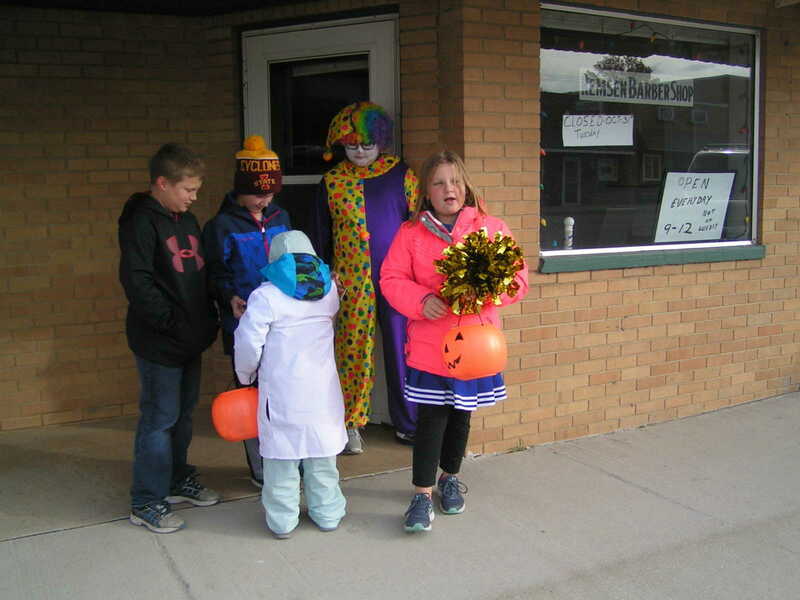 Smith Insurance handed out candy to many different costumed children and adults. 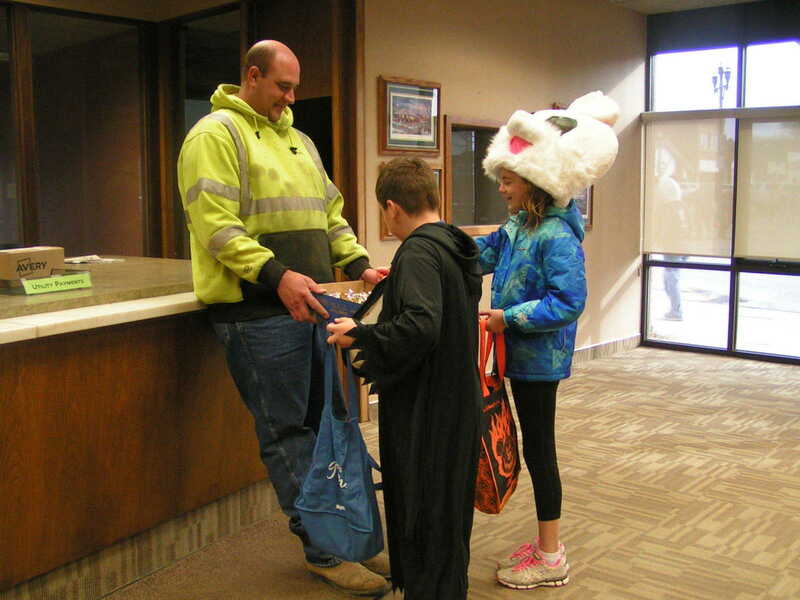 Steve Matgen of Matgen Insurance hands out some yummy candy treats to Trick or Treaters. 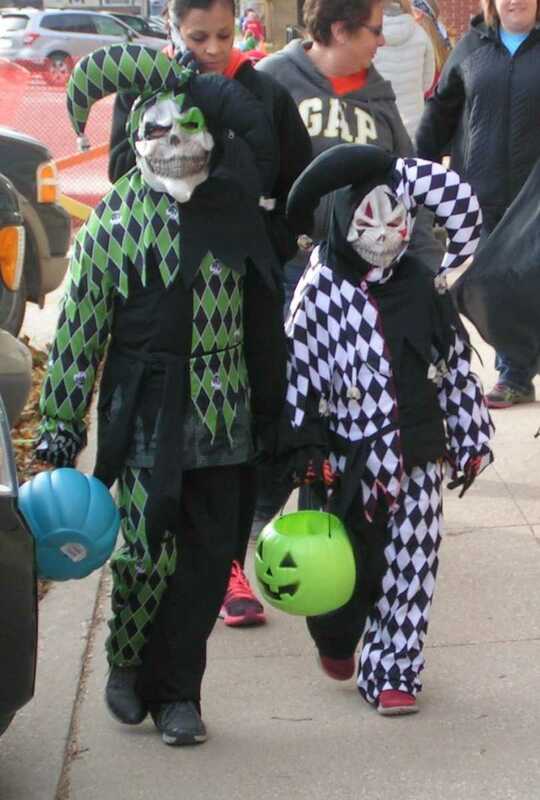 These Trick or Treaters are ready for a BIG candy haul. 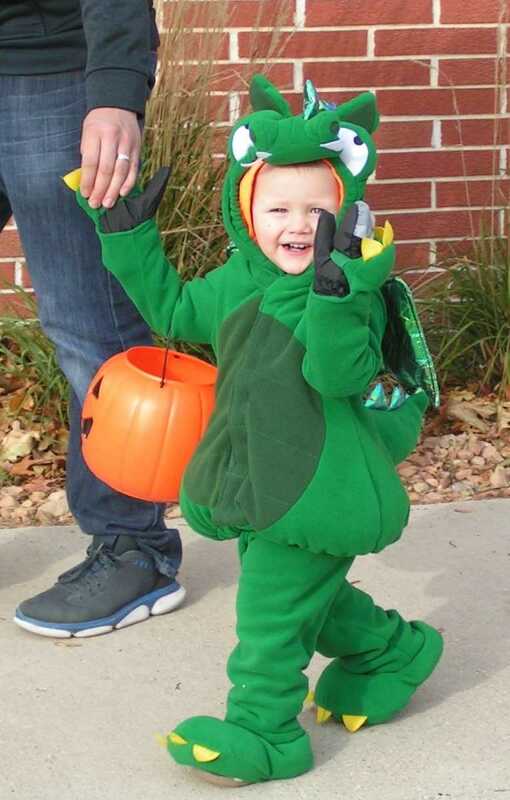 This dragon waves as he makes his way around downtown during the Chamber Trick or Treat Event.